“Grandma Got Run Over by a Reindeer” is one of the most popular holiday songs around and is played on radio stations across the country every Christmas season. It is also now the subject of contentious copyright litigation after a federal judge ruled recently that litigation over an allegedly unauthorized YouTube video containing audio of the song can continue despite the absence of a co-owner of the copyright. Elmo Shropshire owns the copyright to the song along with Patsy Trigg d/b/a Kris Publishing. The copyright was registered with the U.S. Copyright Office on December 27, 1979. 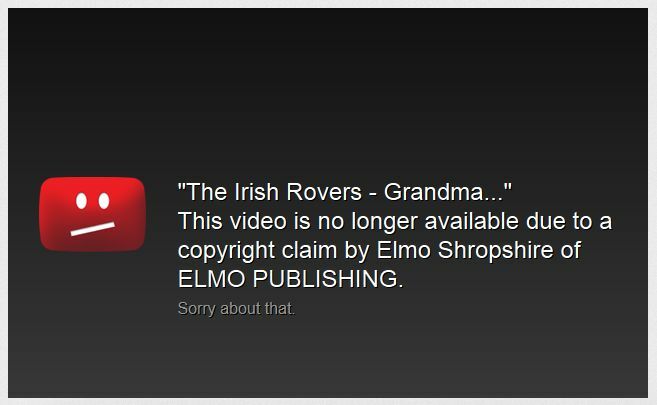 The defendant posted a video on YouTube–which has since been removed due to the pending litigation–which combined Christmas-related pictures with audio of a Canadian musical group, “The Irish Rovers,” singing the Grandma song. Shropshire contacted the poster and requested that he either pay the licensing fee or immediately remove the video. The poster refused. Shropshire filed a copyright infringement suit in federal court, but his first (amended) complaint was dismissed because, among other reasons, Shropshire did not name Trigg or Kris Publishing in the lawsuit. The court gave him permission to amend, however, and the second time around, Shropshire named Kris Publishing as a defendant, but Kris Published settled out and was promptly dismissed. The defendant then filed a motion to dismiss, claiming that Patsy Trigg d/b/a Kris Publishing was a necessary and indispensable party and thus the suit could not go forward without her. The Court disagreed. The court ultimately found that Kris Publishing was not an “indispensable party” and allowed the suit to continue in its absence. The purpose of the joinder rule had already been satisfied by joining it to the case, despite the fact that it was later dismissed upon settlement.